When times turn desperate, tensions rise, and people start seeking an outlet for their suffering. In this sense, the Depression-era Dust Bowl feels like a classic setting for a murder mystery, although surprisingly few authors have taken advantage of it. Here, just like in her first novel, Unmentionables, Laurie Loewenstein offers vivid storytelling and a fine eye for evoking small-town life in America’s heartland. In August 1935, it’s been 240 days since the last rainfall, and the leading citizens of Vermillion, Oklahoma, the seat of Jackson County, seek out hope where they can find it. Roland Coombs arrives in town with promising testimonials to his skills in enticing clouds to let loose their precious drops of water. But less than a day after he shoots shells packed with TNT into the heavens, his body is found in the alley next to the Jewel Movie House, lying under a pile of dirt after an intense dust storm. The need to solve the crime creates difficulties for longtime sheriff Temple Jennings, who’s up for re-election shortly. He’s also under pressure to start foreclosure proceedings against the Fullers, a hardworking farm couple who’d tried hard to make a go of their land but failed, thanks to the weather. When circumstances lead Temple to pinpoint Carmine, a young man from the nearby CCC camp, as the rainmaker’s murderer, the decision raises unease in those closest to him. 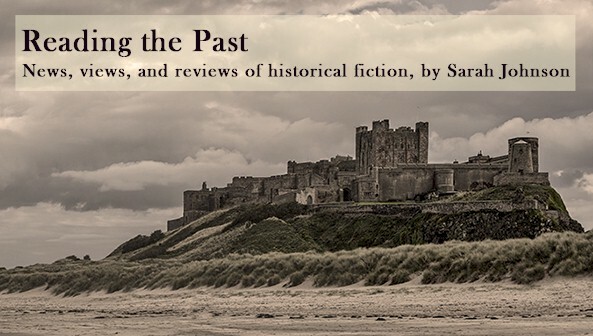 The novel excels in depicting characters and relationships. Temple and his wife, Etha, are devoted to one another, but Etha sees qualities of her late son in Carmine and has reason to believe him innocent. Having lost a child, Etha is horrified by stories of families forcing their older children to leave home since they can’t feed them any more. Then there’s Temple’s deputy, Ed McCance, an earnest former CCCer who doesn’t want the organization’s name tarnished. Just when you think the plot is heading in one direction, the crime’s resolution comes as a surprise. There are some quirky local traditions, such as the “rarely used” (per Etha) small jail cell in a corner of the Jenningses’ kitchen, and a host of personalities depicted without stereotype, including Chester Benton, the blind and dapper theater owner disgruntled by how the murder leads to lost sales. 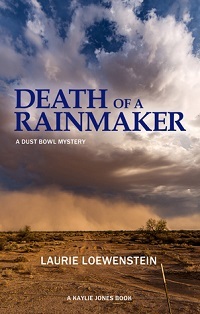 Death of a Rainmaker was published by Kaylie Jones Books this month; thanks to the publisher for the review copy. I'm not sure if it will be a series, but I hope so.